The final hole and a fantastic par 5 to finish. The drive is tough, gorse to the right catching the pushed tee shot. 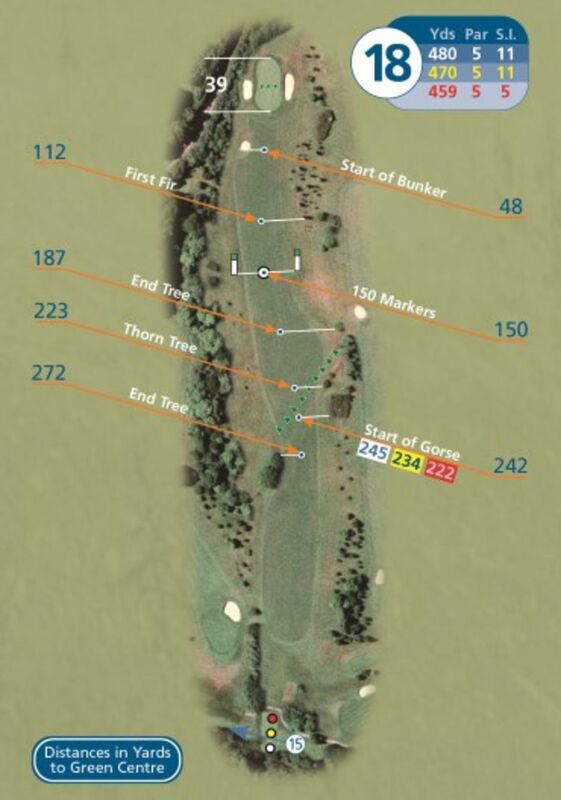 The hole itself slopes from right to left, so there are occasions when a good drive may end up in the left rough! The approach to the green is all uphill and a two-tier green is deceptive making club selection crucial. More bunkers surround the green making it a spectacular finish to a deceptively tough course.